Memphis weather has been schizophrenic over the last couple of weeks. It’s hot one minute and then raining and freezing the next. We’ve completely skipped fall, and now it feels like we are in the dead of winter. I am not ready. I did, however, get a few days to enjoy some fall goodness before the snow flurries (yes, snow flurries in November) came. A Saturday out and about gave me the chance to bundle up in this MASSIVE (and überwarm) scarf. Partly because it’s sooo cute and partly because I didn’t want to wear a coat. 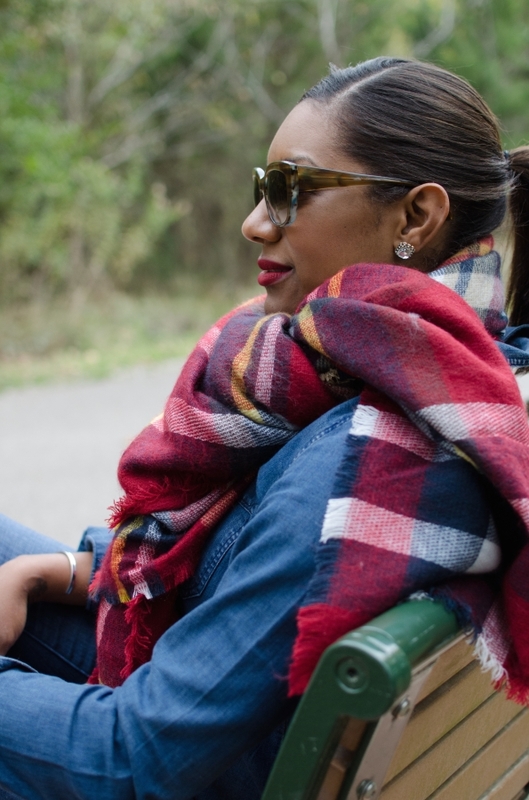 Scarves come in all patterns and sizes, but a plaid blanket scarf is a no-brainer. I thought it was only right to let the lovely plaid bounce off of an all denim background and add my yellow BFF to the mix. I’m linking up with Walking in Memphis in High Heels here. 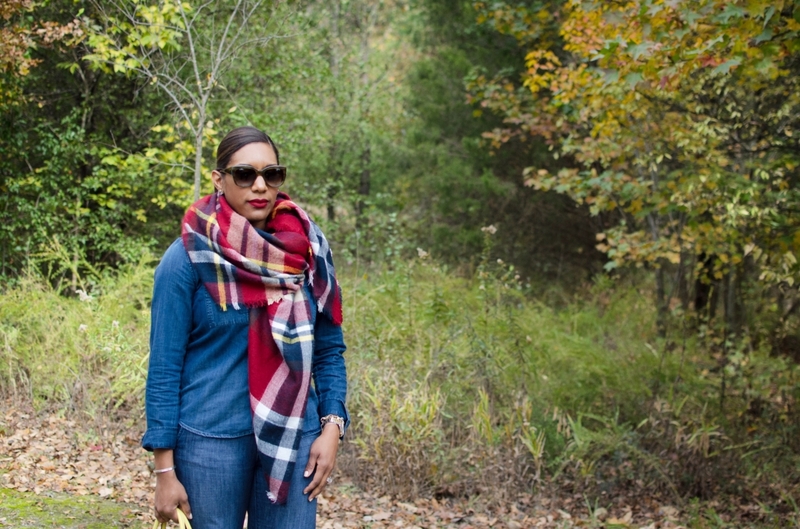 According to Q, a scarf can always add lots of chic value to any fall/winter outfit. A blanket scarf is super functional adding warmth AND style. If the scarf you choose is patterned, keep the rest of the outfit basic so the scarf is the star! p.s. 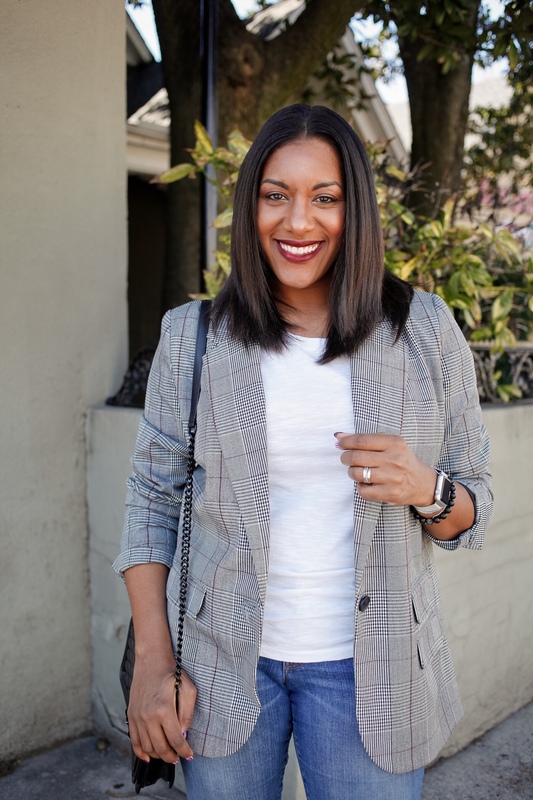 I think I might try this denim on denim thing again! I have been thinking of trying a denim on denim look. Thanks for sharing this look. As always your style is classic and oh so chic. Go for it!! It took me a while to try it out, but I had to just do it without thinking to hard. Thank you and thanks for stopping by! I LOVE blanket-scarves, aren’t they the best? I am in LA and so it’s not get too cold yet and so blanket scarves are so easy to just throw on and walk out the door. Also, did you know they are so crazy easy to make yourself? A fraction of the price that you would pay a retail, I have a DIY BlanketScarf tutorial on my blog, you should totally check it out sometime! They are make awesome gifts!! Anyways, I love your denim on denim outfit, I am always afraid to try to but you look fantastic! 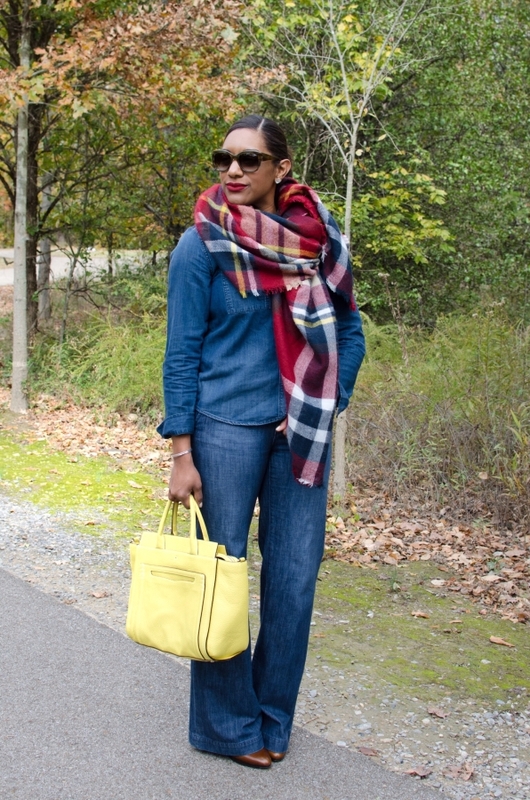 And the yellow bag is the perfect shade that makes the same yellow in your scarf POP! Great idea!! I found you on Walking in Memphis and I LOVED your look! Have a great rest of the week!! Hope to catch your looks again!! I have fallen madly in love with blanket scarves. I will definitely check out your blog. Thanks so much for stopping by.